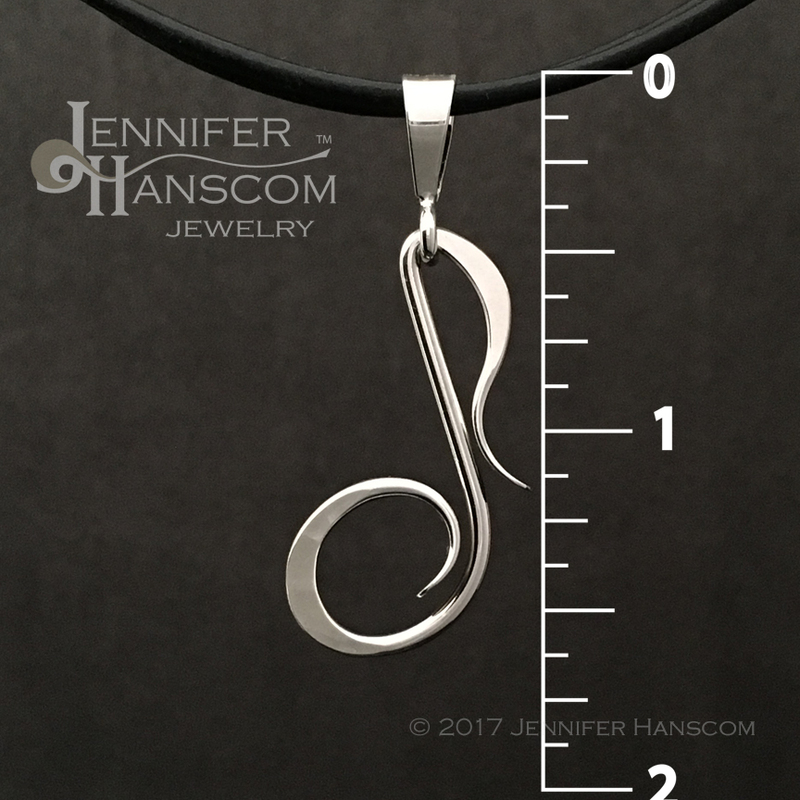 Strike just the right note with this petite musical note pendant. 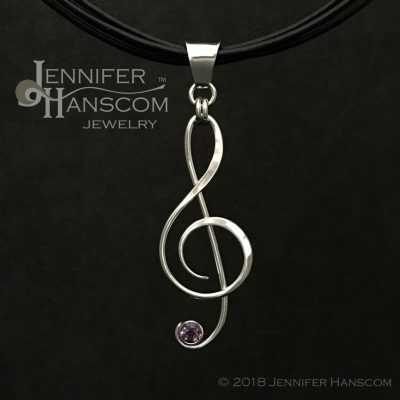 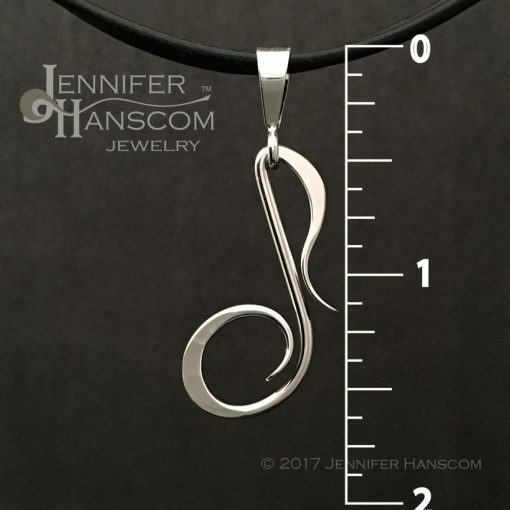 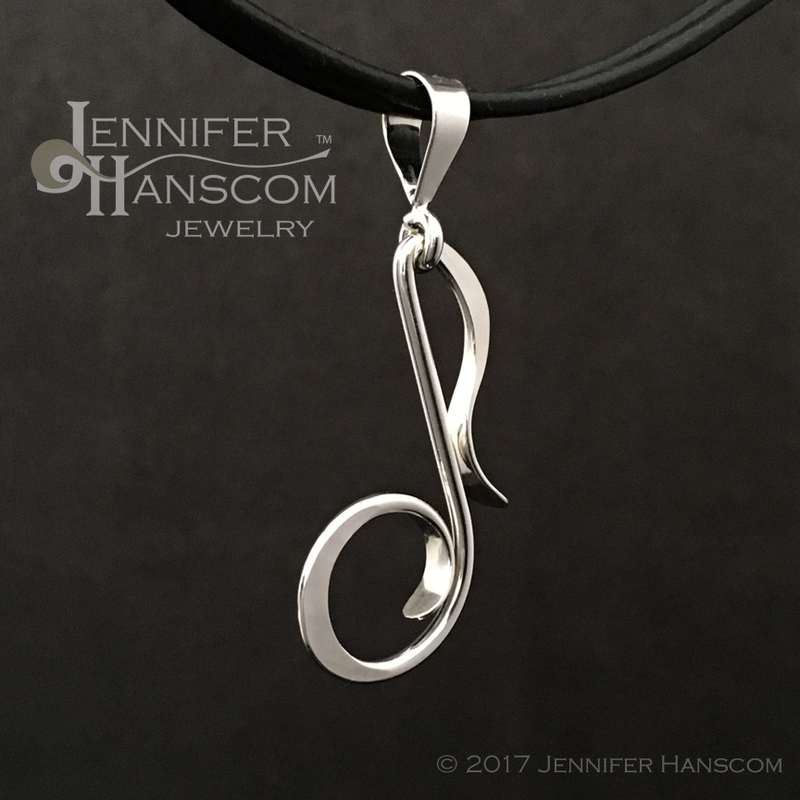 Perfect for the under-stated music lover, the elegant lines flow in the shape of an eighth note, offering a subtle admission that music is close to your heart. Click here to learn more about the meaning behind the Noteworthy Collection. 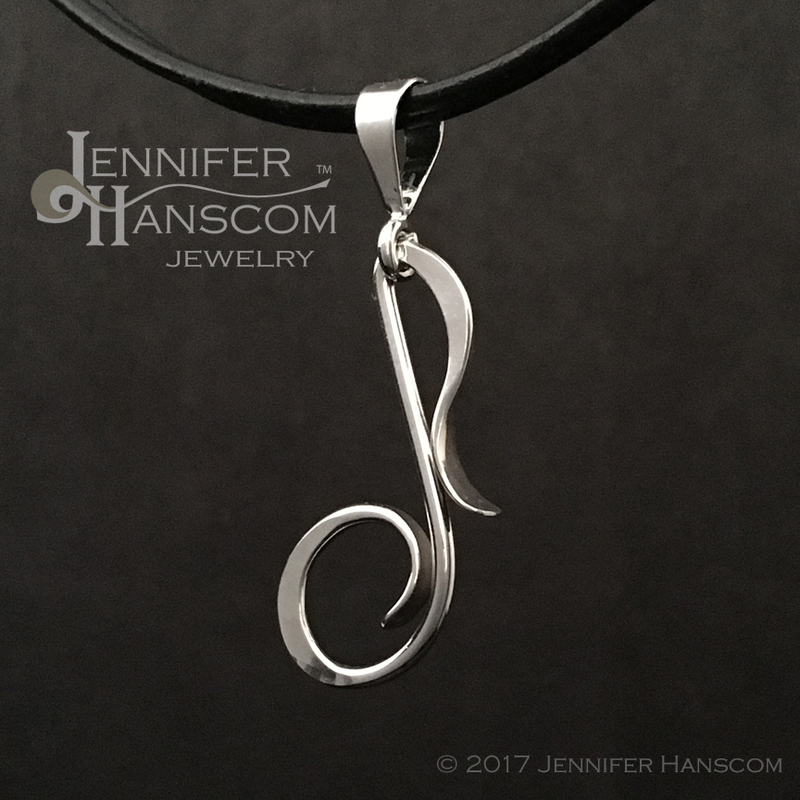 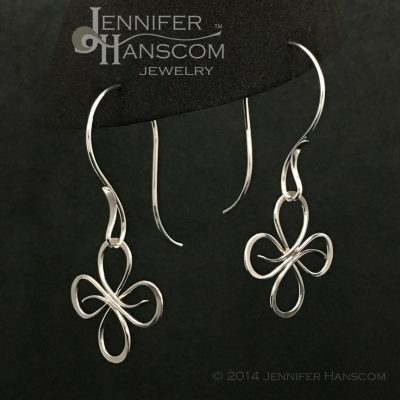 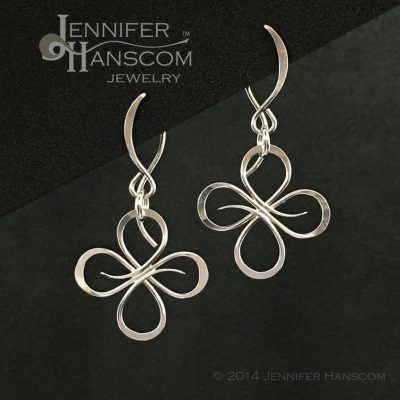 Each pendant is hand-formed and forged of sterling silver wire offering it’s own individual character. The opening on the bail is approximately 7/32″ in diameter, so it fits on many standard silver chains as well as my double strand leather necklace.